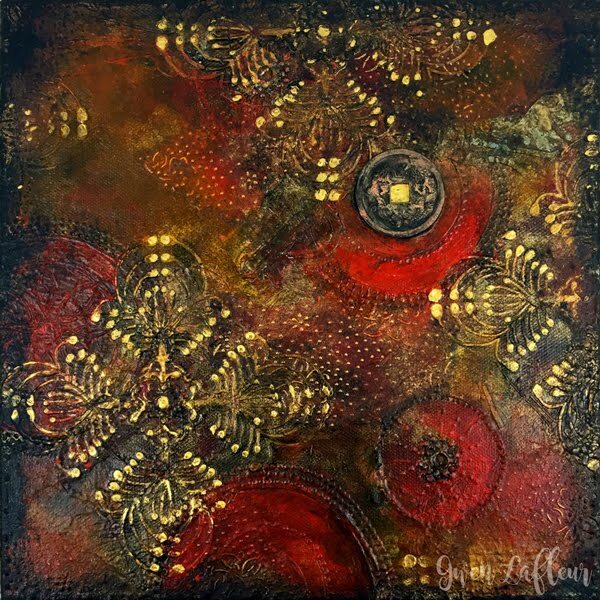 Plum blossoms and stylized peackock feathers, a paint tin and flower stamens - these new stencils by Cathy Taylor and Gwen Lafleur herald springtime. 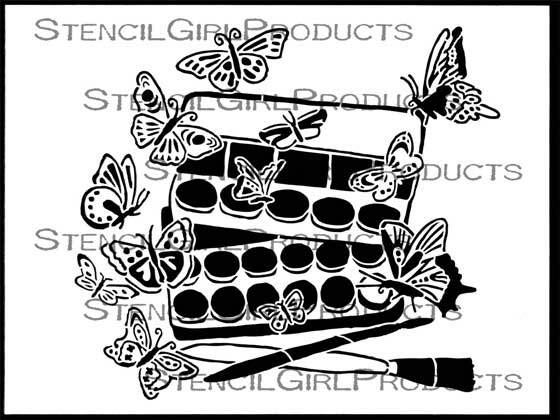 Paint Tin and Butterflies stencil by Cathy Taylor illustrates butterflies taking their colors from tins of paint. This design would be lovely gracing the cover of an art journal or as the focal point of a piece of mixed media artwork, or you could make a large, cheerful greeting card for a friend. 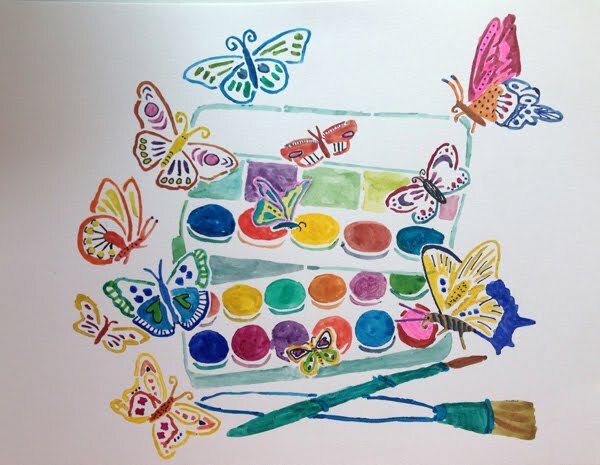 Use it with watercolors (as Cathy has done), Inktense pencils, acrylics, encaustic paints, and much more! 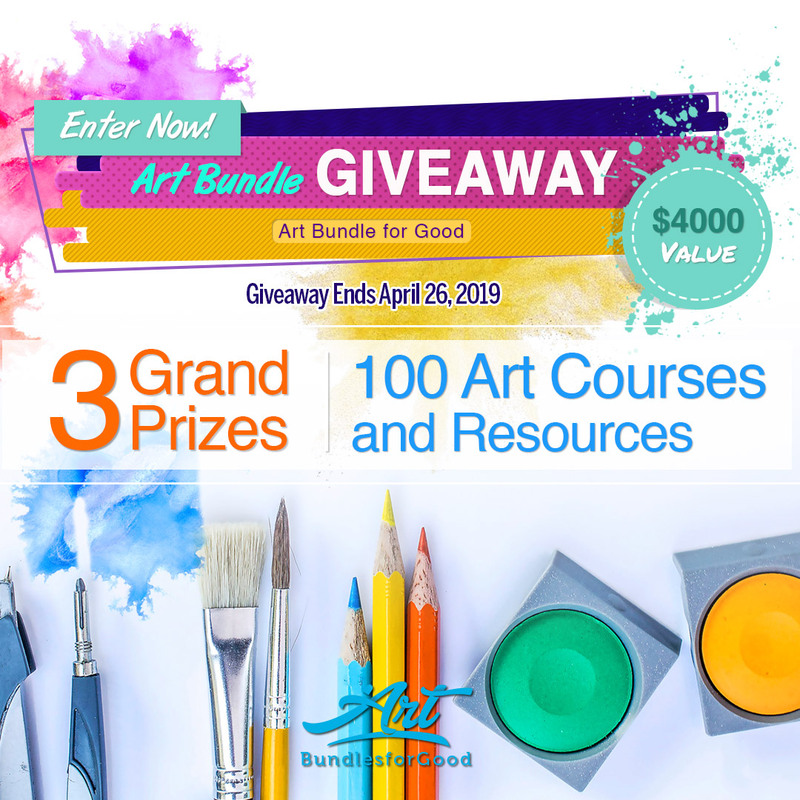 Not Afraid to Try: In 2009 I went back to school to get my MBA and during my second year I took an elective called Business Judgment, which was my favorite class of the entire program (it was much more interesting than it sounds!) One of the books we read in class focused on the concept that our own fears are our biggest impediments to making decisions and moving forward and with achieving success in both our professional and personal lives. This really stuck with me, and I ended up making it the subject of my final project for the class (which I aced, by the way!) 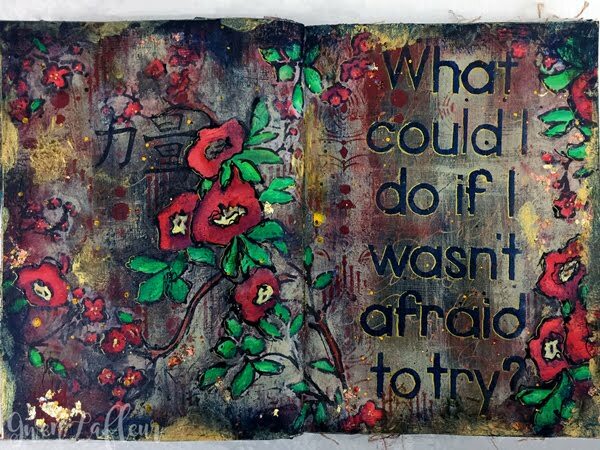 I've continued to keep that as a mantra in the years since, and have long wanted to have a version of that concept as a phrase on a stencil so that I, and others, could use it for art journaling and other projects. 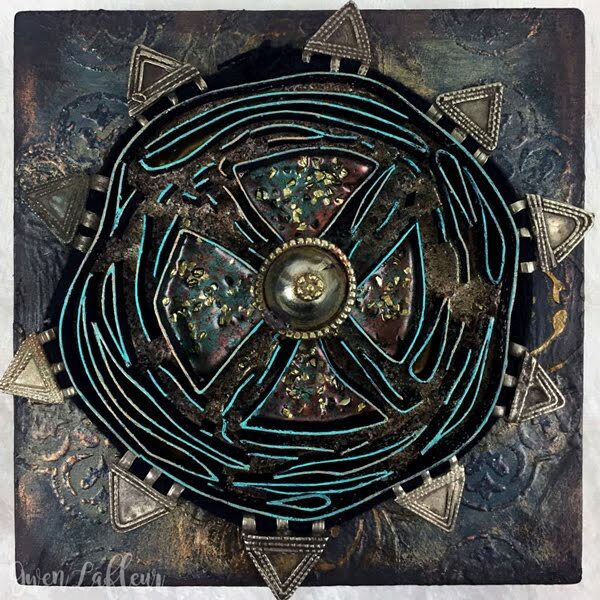 Of course, I couldn't have a quote without some decorative elements, so I added two borders which were inspired by traditional Indian woodblock designs, as well as a fun ornamental motif that's a combination of inspiration from a vintage metal finding and architectural elements. You can repeat the borders to make them longer, or turn them into backgrounds! 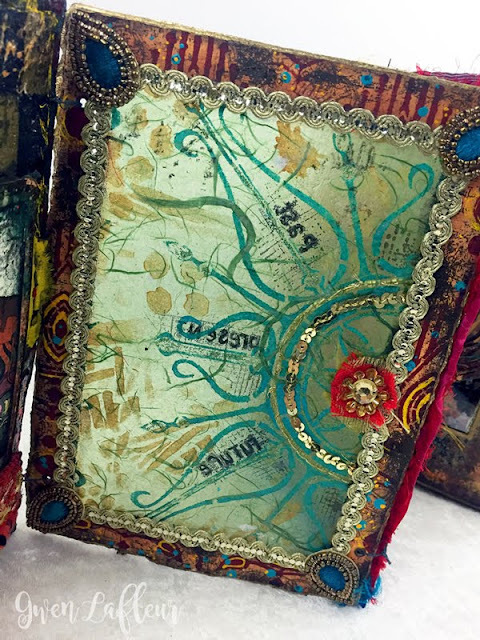 Scribble X Mask: I've been a doodler for as long as I can remember - I doodled in my classes all the way from elementary school through college, and then as an adult I've continued; I think that's the reason I continue to take notes in a notebook instead of on my computer! It helps keep my hands busy and my brain focused. 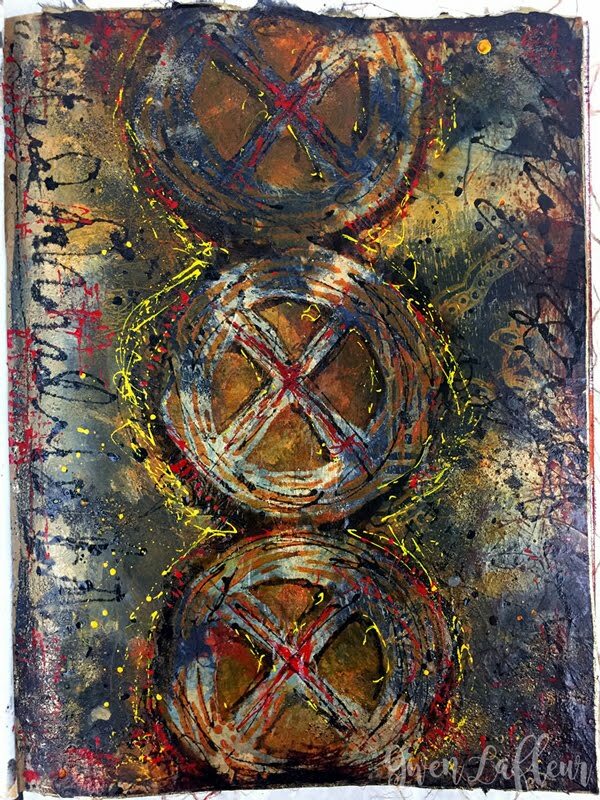 This particular design was inspired by a series of doodles that showed up in my notebook during meetings at work last Fall. I had the idea to turn a few of my doodles - including this one, into a hand-carved rubber stamps, and I loved this particular design so much that I knew it just had to be enlarged and become a mask that could be used for even more applications in my artwork. 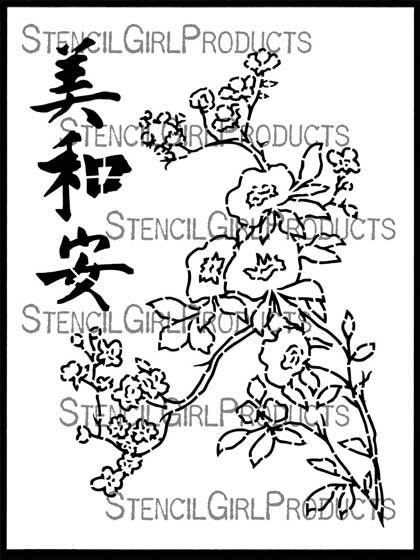 Chinese Garden Plum Blossoms: This stencil was inspired by my first two visits to China where I explored the Yu Garden in Shanghai and also learned about the symbolism of the plum blossoms during a Chinese watercolor painting demonstration - these trees flower in late winter and have come to embody the ideas of perseverance and hope, as well as beauty and purity. 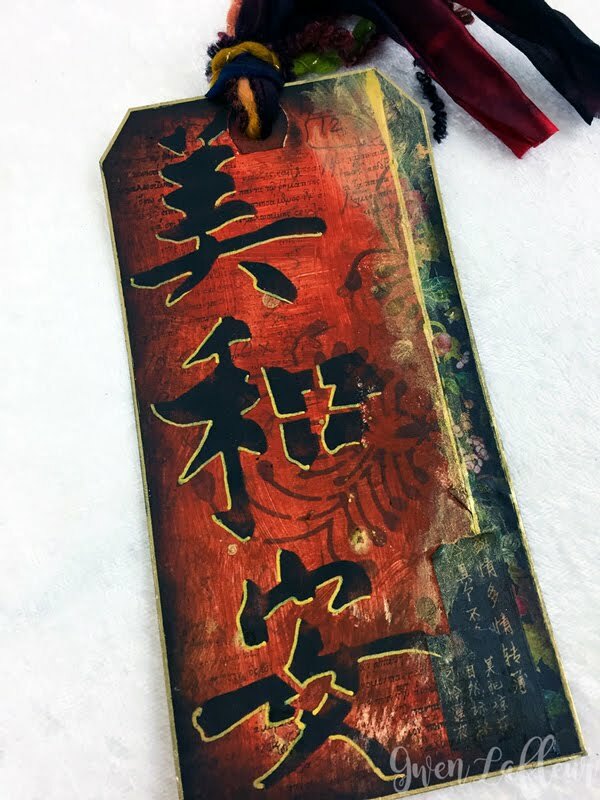 I also added Chinese characters for beauty (top,) harmony (middle,) and tranquility (bottom,) to describe the feeling while visiting those stunning traditional gardens. The design of the plum blossom branch was deliberately created as an outline to allow you to color the flowers with whatever color combinations and mediums you choose. 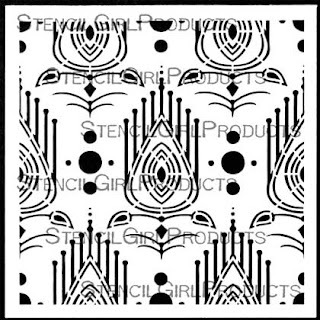 Art Deco Peacock Feathers: It's no secret that I love peacock feathers and Art Deco - I've already created stencils aplenty for both of these themes! I have a particular fondness for Egyptian Art Deco designs, and have wanted to do something along those lines for quite a while now. 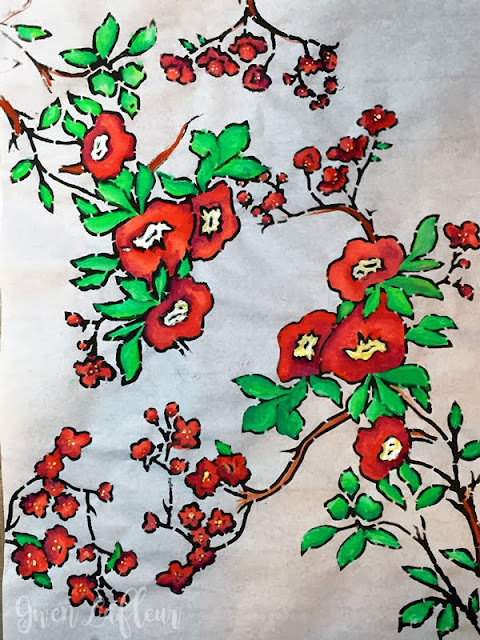 While visiting my family in the DC area last year, I spotted a pillow in a shop that immediately sparked the idea in my head to make Egyptian Art Deco peacock feathers. 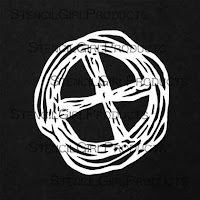 I drew it out and carved it as a stamp to see how it would work, and I loved it so much that it was the first thing I worked on when I started this round of stencil designs. 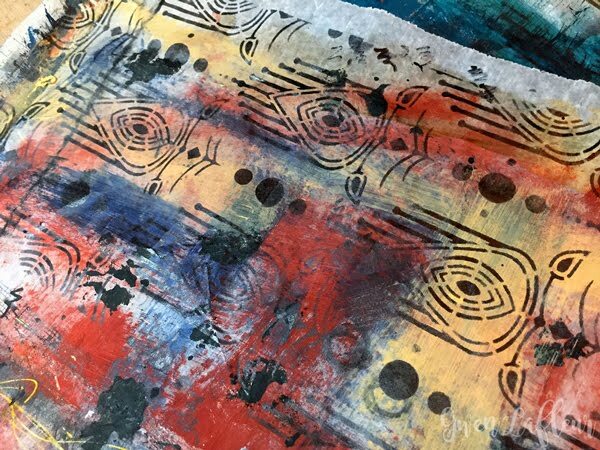 The hand-drawn pattern was created to repeat, so all you have to do is line the stencil up along any of the edges to create seamless backgrounds as large or as small as you want. You can also mask off a single feather to use as a stand-alone motif in your work. 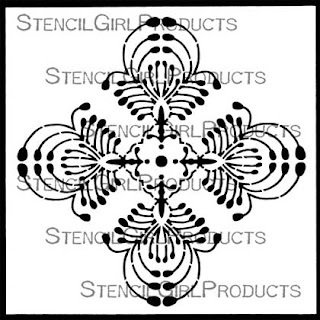 Decorative Flower Stamen Medallion: Like the Scribble X Mask, this design started off as a doodle in my work notebook. 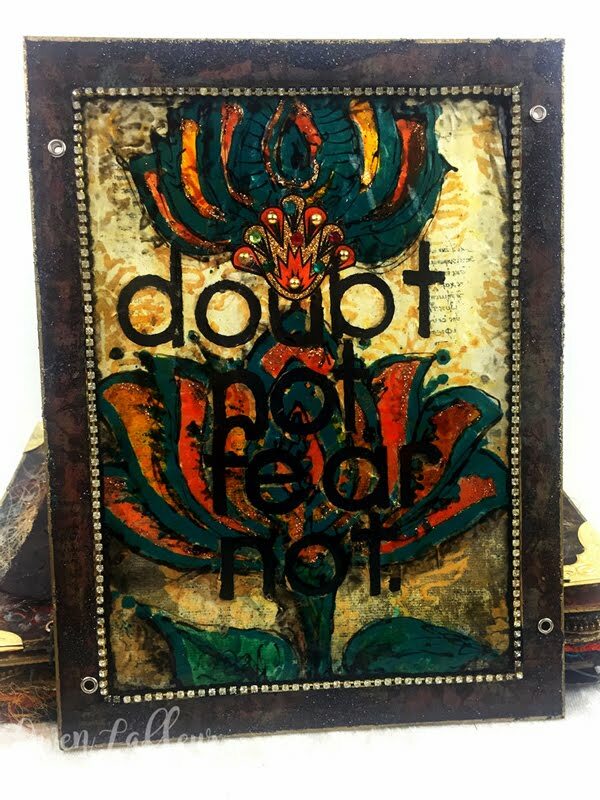 I had these organic elements that looked like the stamens of a flower growing out of the margins of my pages, so I went home and turned them into a quarter-repeat hand-carved rubber stamp. When I printed and repeated the stamp, the results were so much cooler than I'd anticipated! I knew immediately that it would make a fabulous addition to my collection of medallion stencils. It's perfect for creating background textures and patterns (it worked great with texture paste in my sample canvas!) 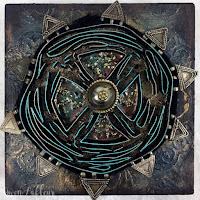 Like all of my medallions, it's also ideal for layering... try using smaller circular designs and objects layered over the center and build up from there to create a really cool and unique focal point in your art! 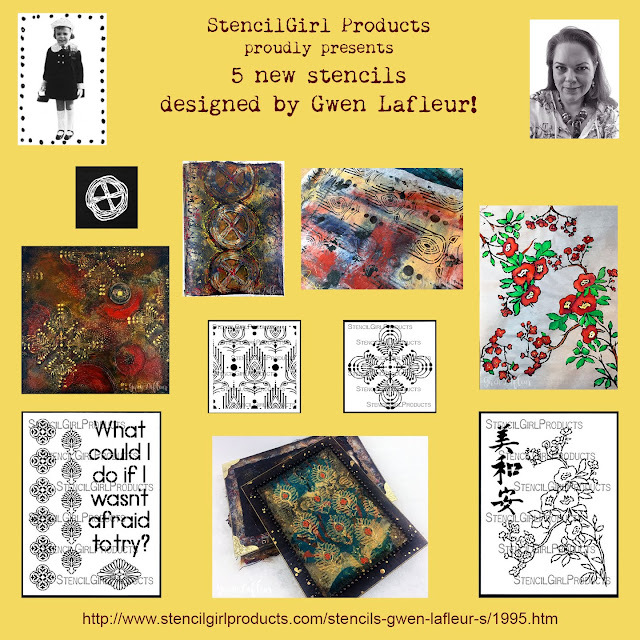 Discover more stencils by Gwen Lafleur HERE and more by Cathy Taylor HERE. Gorgeous stencils and artwork! I'm especially glad at the birth of another Asian stencil! OMGorgeousness!! 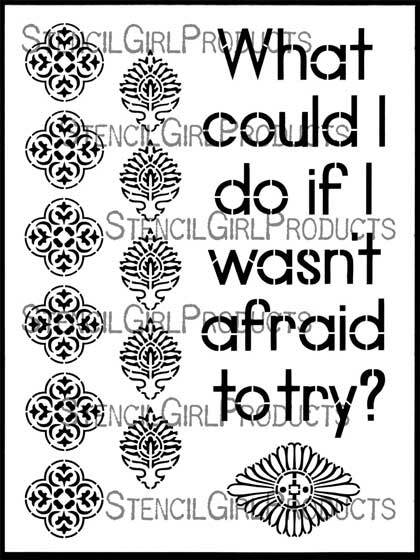 I just LOVE these new stencils! !